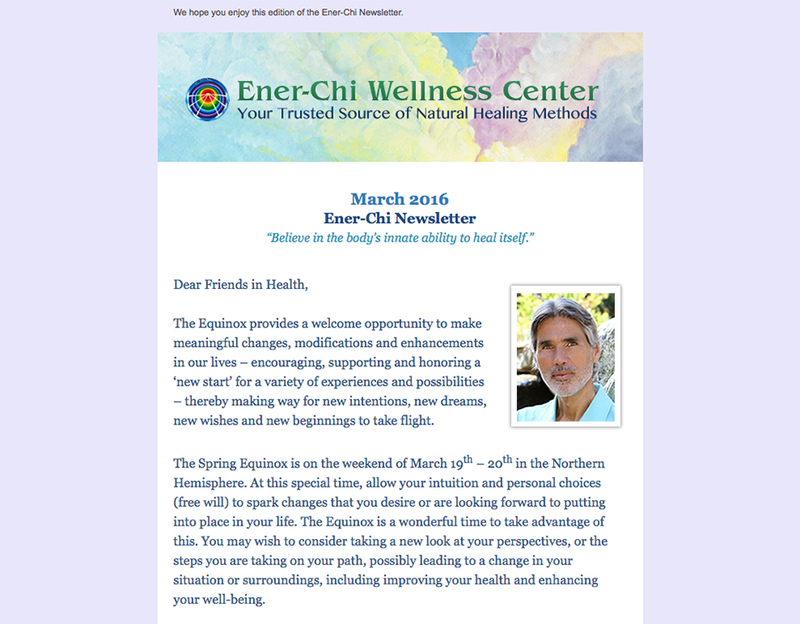 Andreas Moritz, author of 16 books, including The Amazing Liver and Gallbladder Flush, Timeless Secrets of Health & Rejuvenation, and Cancer is Not a Disease!, opened the Ener-Chi Wellness Center to assist individuals in achieving optimal health and well-being of their body, mind and spirit. 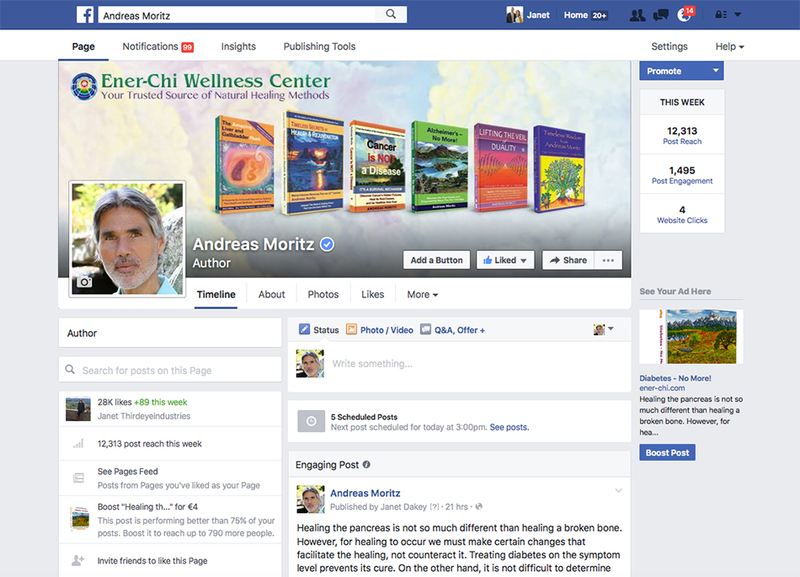 Their website is a place to purchase books by Andreas Moritz, Ener-Chi Art and wellness products, as well as a place for accessing free health information, articles and videos from Andreas. We also updated the Facebook page, which has over 29,000 likes, stated a Google+ page, and redesigned the newsletter, all reflecting the new look of the brand.